What better way to keep a wonderful island top of mind? Highlighting the yellow, black and blue of the Barbados flag, this lovely chevron charm will surely remind you of a perfect holiday. All charms are approximately 10mm with a 5mm diameter hole. 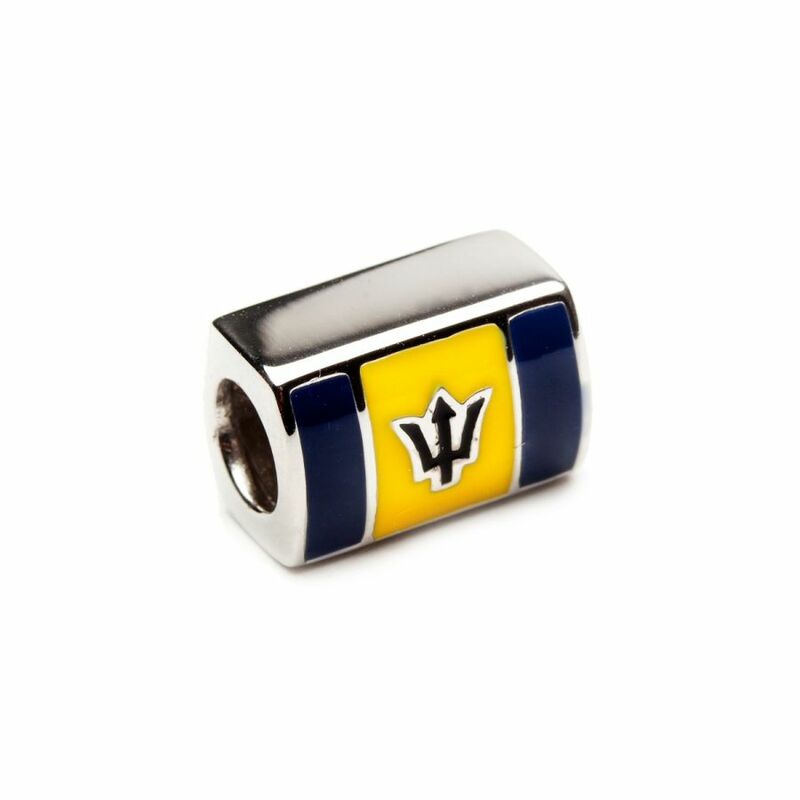 Keep fond memories of The Barbados top of mind with this flag Charm. This sleek sterling silver charm showcases the Bahamas Flag. All charms are approximately 10mm in size with a 5mm diameter hole and will fit on any charm bracelet.